Coastal Bend College soccer player Jostan Padron signs letter of intent with the University of Houston at Victoria to play soccer in the 2012-2013 school year. Padron is a graduate of Refugio High School. He is the son of David and Maria Padron, and his siblings are Cristian, Monica and Marlen. 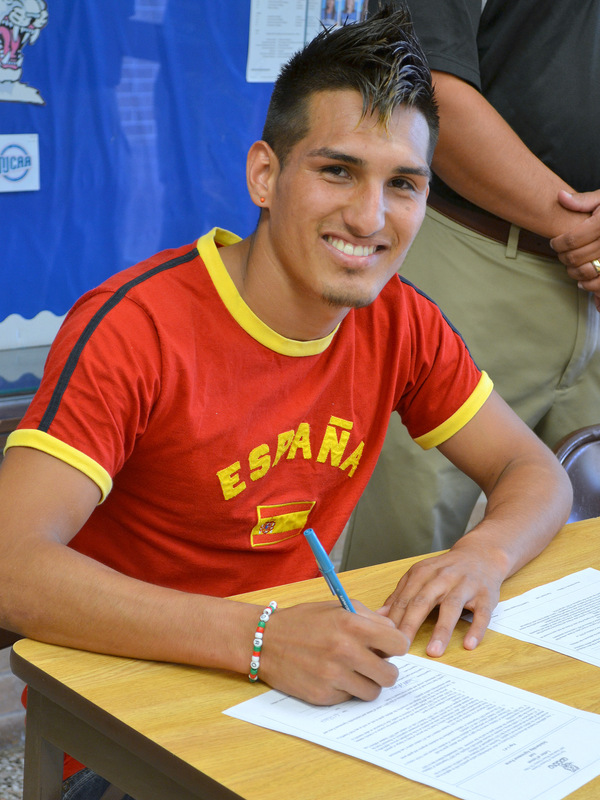 Padron states his goal after attending UHV is to play soccer professionally. Padron and his family are excited about his future at UHV.